Just a short drive along a 8 km of sealed road and 6 km of gravel road that leads to a stunning, secluded and peaceful setting with wide water frontage and vineyard surrounds. The Vineyard was first planted to Shiraz grapes in the 1800’s serving the thriving River Boat trade. Being half way between Echuca and Barmah, Cape Horn was a convenient stopping spot for the river boats. The vineyard and winery evolved as a consequence. Cape Horn was also a popular picnic spot for day trippers from Echuca in the 1900’s. 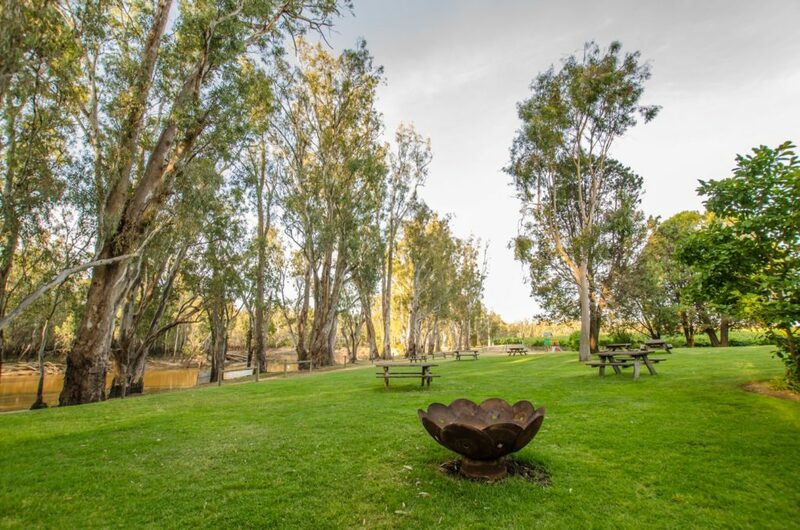 When you visit our oasis in the bush you will enjoy the comfort of the glass enclosed cellar door which boasts a wide range of both white and red wines, including our best seller Sparkling Durif/Shiraz and a fully stocked bar. The cellar door opens onto our Riverside Timber Deck, the perfect position to enjoy your wine whilst watching the water pass you by. The picnic area is perfect for family and friend gatherings to play games, relax on the lawn or a picnic rug and let nature embrace your day. Our playground is perfect to keep the kids entertained and we are a pet friendly facility. Wood fired pizzas are on our menu along with generous cheese platters and dip plates, or if you prefer you can bring your own picnic lunch (no BYO alcohol is permitted at our licensed venue). Acoustic music is performed at our venue on weekends and special holidays. Refer to our What’s On page for our Music Calendar. Need a lift? Give us a call to book our Courtesy Bus for groups of 10+ adults or more and on special holidays and peak season. The newly constructed 2 story 5 bedroom Vineyard Villa features breathtaking Murray River and Vineyard vistas from every window. 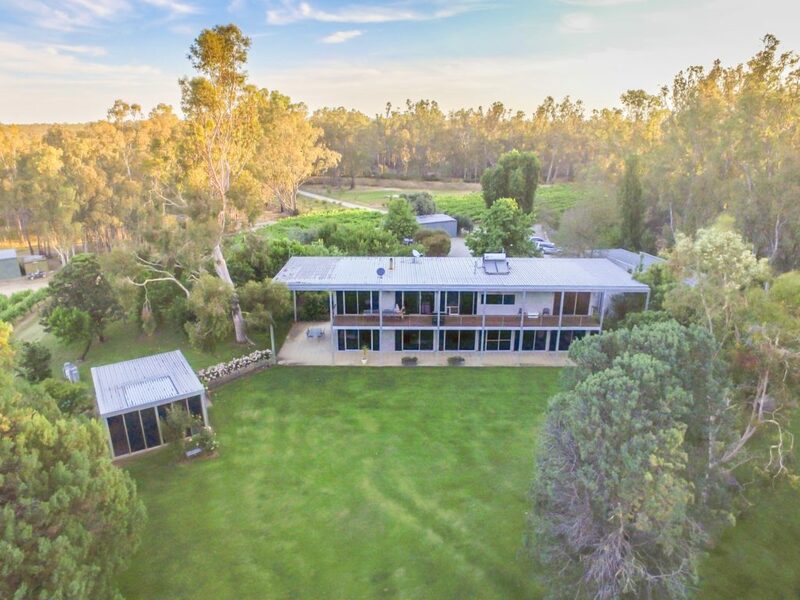 The heart of this Vineyard Villa is its open plan lounge and dining with extensive vineyard and Murray River views. Guests are free to explore the property. Dine and chat on the picnic area whilst enjoying the river view. Take memorable photos and unwind on the magnificent rose gardens and vineyard vines. Defeat your opponent on the giant chess game! Be serenaded by acoustic artists alongside the picturesque views of Cape Horn Vineyard and Riverside Bar (refer to our What’s On page for our Music Calendar). When music events are planned on vineyard grounds they do not run into the late evening, leaving you to enjoy the night in peace after a fun filled day. Additionally we can pick you up with Cape Horn Vineyard bus and return you later. Please Note – minimum 10 adults, maximum 21 passengers. 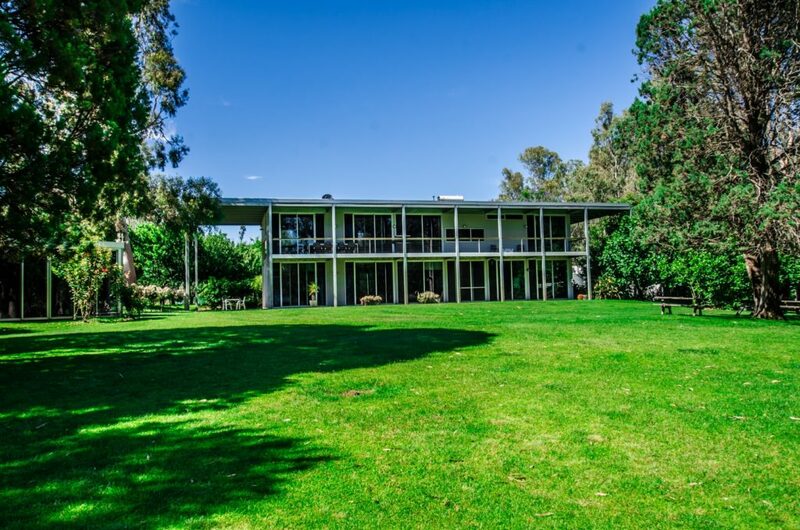 You can also enjoy staying at our sister property, Morning Glory River Resort & Conference Centre, situated upstream on the NSW side of the Murray River. or use our contact form for enquiries.